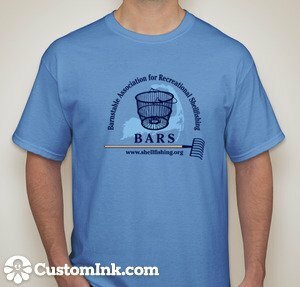 The new BARS Cape Cod Logo Gilden 100% cotton t-shirt is available in L, XL, and XXL sizes. The new BARS Cape Cod Logo Gilden 100% cotton t-shirt is available in L, XL, and XXL sizes. Please note size preferred in your order.